The lawyers of Murphy Armstrong & Felton Appellate Practice Group have unique and invaluable appellate experience from years of service as judicial clerks to judges of the Washington State Court of Appeals. This unique combination of experience and specialized training not only gives our attorneys exceptional tools to prevail at the appellate level, it also helps us obtain favorable results for clients at the trial court level as well. Our experience allows us to recognize and properly preserve potential appellate issues during trial court proceedings, to assess the merits and likelihood of success of an appeal, and to provide cost-effective strategies for clients who need to pursue or defend an appeal. This unique experience affords our appellate lawyers insight into the specialized field of appellate process and practice, which has helped them efficiently achieve favorable results for a broad range of appellate clients. Our appellate lawyers have briefed and argued numerous civil appeals in state and federal appellate courts in Washington and Oregon. They have successfully prosecuted and defended numerous appeals in diverse legal areas ranging from workplace safety/catastrophic injury, municipal liability, insurance coverage, guardianship, probate, the protection of vulnerable adults, and the arbitrability of complex disputes. For example, our lawyers successfully defended the rights of vulnerable elders, resulting in one of only a handful of published decisions interpreting Washington’s Vulnerable Adult Statute; have successfully defended significant judgments in favor of additional insureds in insurance coverage matters; have obtained discretionary review of a ruling on a motion for summary judgment and the subsequent dismissal of the plaintiffs’ case on appeal; have successfully defended challenges to a court-appointed administrator’s actions in a litigated probate estate and obtained a significant award of appellate attorneys’ fees; and have successfully defended a jury verdict and judgments in favor of a general contractor and project owner in a catastrophic construction site injury case. Effective appellate advocacy requires experience and understanding of the unique processes and workings of appellate courts. This experience can, and often does, make the difference in the outcome of an appeal. An appeal typically has significant impact on not only the litigation between the parties to the case, but can impact the progression and state of the law by resulting in published legal precedent. 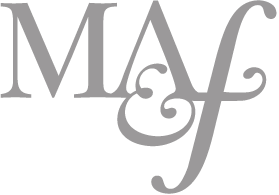 To learn more about Murphy Armstrong & Felton’s Appellate Practice Group and some of its representative appellate matters, please contact Murphy Armstrong & Felton at 206-985-9770.